Pardon if this is in the wrong place, mods feel free to move if necessary. Anyways, I've been fascinated by psychedelics for a while but only started with them in the past nine months or so. I've been tripping maybe once a month or so since starting Memorial Day last year. Now my question: I took it easy to start, with a half tab of LSD and a half gram of shrooms, and worked up from there; I've now had six LSD and three shroom trips up to a tab and a half of acid and a gram and a half of shrooms. None has given me more than what I'd have to call mild visuals, though every trip has given me some insight about letting the past go and living in the now. So, all positive experiences thus far, but it's never taken me as far as I'd like to go. I've listened to folks talking about their experiences with DMT, and Terence McKenna talking about having "breakthrough" with "heroic" doses of shrooms (5g+ according to McKenna). I'd like to have an experience like this where I have the feeling of leaving my body and really seeing something deeper, I want to have a similar experience to what's been described. My connect can't get DMT though and can only get a couple grams of shrooms at a time. This leaves LSD, which is more available to me. This last Friday I took two full tabs, and while I did see a "machine elf" for the first time superimposed over my own reflection when I looked into the darkened screen of my laptop on power-save mode, I still saw similar visuals otherwise to what I'd seen before and got the sense also as before that I was stuck in the past and needed to focus on my goals, and on the now, so nothing new otherwise. Pardon the rambling, I'd say the TL;DR is: has anyone had a "breakthrough" moment with only LSD, and how much did it take? 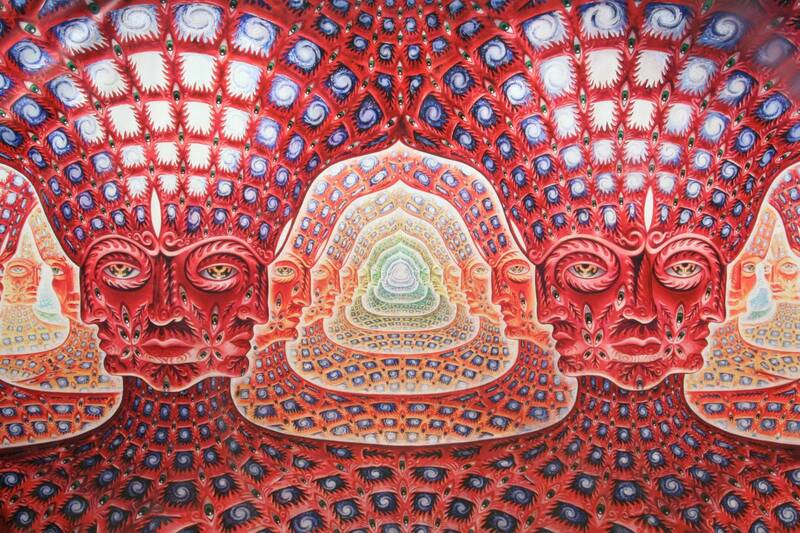 The thing is... LSD and mushrooms and DMT are totally different things. You can break through with mushrooms and DMT much easier than you can wipe your brain with LSD. They are totally different animals man. Mushrooms and DMT (which are similar in structure when they go through the blood/brain barrier) are a way different world from LSD. LSD is more of a recreational buzz, although you can be whupped by LSD it will be a different thing than what you get from mushrooms and DMT. Those things are teachers, and will change who you are. LSD is more of a recreational experience, although it can come with some real life revelations, it is more of a party drug in my experience. If you search the Dark Web you can find LSD and a test kit which will dispel any doubts as to whether or not you’re really using genuine LSD. If it were me that would be my first concern, whether or not it was real LSD. Once you’ve determined that you’re dealing with a genuine substance then you’ll be able to make comparisons and experiment properly. Real LSD should make the walls bend and breath and produce visuals which will take your breath away. A breakthrough trip on acid should get you to the “clear light” stage which is a heroic experience. You just need the real vehicle to take you there. Edited by surfer8210, 01 April 2019 - 07:50 AM. when we rely on the random and unproven tropes on the internet we pre-load our minds with stuff that is incompatible with reality and possibly our own body's reaction to any given drug. at a minimum you should do only one drug at a time to assess its affect on your body. As Coopdog said above your cocktail is of very different chemicals which are going to "compete" for influence over your perceptions at the time of the trip. it sounds like you are trying to get to an explanation of why your expectations were not met. Good on Ya' for that. To get your explanation you're going to have to get a more scientific plan than throwing the whole medicine cabinet at your trip. one of the tenets of pharmacokinetics is that every persons' body chemistry is different ergo everyone's subjective experience is going to be different. Ergo it's very difficult to say anything with any certainty about mixed chemicals going into a body with slight but significant chemical differences than mine, for example. Yeah, I get that, that's why I was asking if I can get beyond the veil with only LSD; it was hopeful more than anything. It doesn't seem as though I can from what you're saying though, which means I'll need to conserve the shrooms that I can get until I have about 5g or try to get some DMT. I've not had DMT yet like I've said, and I am keen to try it, so I need to see what else I can my hands on I guess. I do enjoy LSD and it has taught me some things, but as I said, I want to see beyond the veil and it's clear I haven't gotten there yet, even with shrooms. I did see walls breathing, ripples in the carpet and tiles, and the stripes of my cat rippling and flowing back along his body. I stared at my face in the mirror for who knows how long, watching it bulge, ripple and "flow" for want of a better term. Open-eyed, light was brighter and things had more color and increased contrast. Closed-eyed though, I saw geometric shapes that swirled and rotated, but instead of color it was black and white. I briefly saw small black eyes on the wall. It was interesting, but it wasn't a breakthrough. You mention searching the dark web for LSD and testing kits, would you happen to know a good site to order MHRB that won't attract attention? I don't mind doing the processing myself. You do mention a few good points though. I've been watching some of those videos of people reporting their DMT trips, and the elves is a common theme, but I don't want to preload my perception; when I finally get there, I want it to be the experience that I'm meant to see. I also seem to have a bit more of natural tolerance, the times I've taken LSD or mushrooms with others, they've seemed to have deeper experiences than I did, at least from what they were describing; my visuals seemed to be less intense. At any rate, I've been giving myself 2-3 weeks between trips, and haven't eaten shrooms for a few months, so I don't think I'm getting conflicts with my method. But yes, I also agree with your assessment that I'm trying to figure out why my experiences thus far, while enjoyable, haven't been the sort of "top 10" life events a lot of others have reported after having taken LSD or shrooms. Thanks for the feedback though, folks; it's nice to be able to have serious discussions about this kind of stuff. I know a couple guys that also use psychedelics from time to time, but it seems they use it as a toy. I'd like to get to something more profound than that. Edited by MiltonWadams, 02 April 2019 - 10:32 PM. Do you take xanax or any other of those "mood" regulators? It's a certainty that they degrade or turn off certain psychedelics. If so I don't know what to say about discontinuing their use before tripping. Seems that there'd be a mighty fine line between getting your blood cleared out of the xanax (for example) and enjoying the trip - and not having enough of the "mood" regulating being done which might also be a skew to your trip. I don't mean to be a downer on this topic, if it even applies to you, but we must factor any other drugs into the equation when evaluating drugs or our reactions to them. As far as a source no but they’re mostly pretty legit. Just buy the test kit first do them when you do purchase the LSD you’ll be able to verify that it’s real. When you mentioned “breakthrough” in regards to hallucinations it seems awkward. I think the term isn’t really related to that aspect of LSD but speaks more to the effects on the mind and ego. Clear light, ego death, and other related phenomena. i am saying this because I have been in your position when i was at a young age. and chased the rabbit down the hole myself on numerous substances...due to my inability to properly process what i had experienced(caused by my age but also my style of living, heavy drinking and 'escapism'partymode at the time)...the 'unearned' wisdom i 'found' behind the veil left me nothing much more than a really hard time to deal with reality limited by the physical parts of being human. take it slow...read all you can...up the dose gradually...trip a lot but...give yourself time to reflect (and really reflect upon your trip) sometimes a trip and the insights become profound months after...have fun and be safe! ...just my 2 cents... grandma is out! hi there buitensporig, fellow Dutchman. I can completely agree with you. I had a similar experience doing the harder psychedelics at a time this wasn't very wise to do. It did bring me something and taught me a lot, but had to take a big brake from it all to comprehend what the hell happened. Nooooooo... I saw what benzos did to my mom, and I won't put that in my body, except to stop a seizure. That's really what they're meant for. I take some vitamins supplements and melatonin a few times a week to help me shut down. I'm naturally a night person, but need to get up fairly early for work. The ego death and the light both, that's the type of experience I'd like to have. Grandma always had experience and always meant the best for you. Grandma it up. That said, do you think nine is too few? Put down the red stapler, and start your own grow. 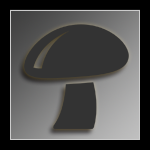 You wanna get closer to the essence of the Mushroom as a Sacrament? Then learn to grow them. Glad you're here brother! Everything you need to learn how to grow is on this forum... Somewhere.